Q. 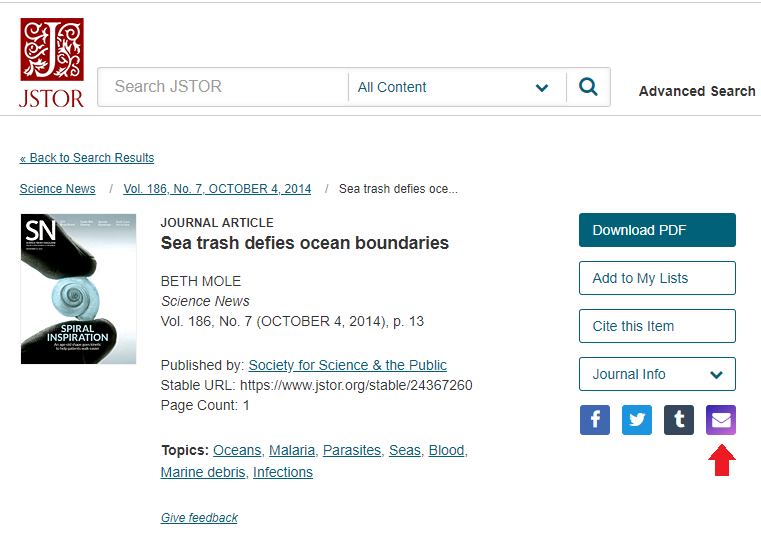 How can I email an article in JSTOR? Q: How can I email an article in JSTOR? You will be prompted to enter an email address. The recipient will receive an email with a link to the article shortly thereafter.